Real world college and university options may offer two or four year medical billing degrees, but they often come with a hefty price tag. Many other options are available, however, and most of them are in the form of at home learning through home study and correspondence courses, online course work, or a combination of both. Looking for ways to study at home? 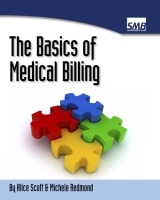 We recommend the ebooks over at Medical Billing Live, which are written by highly experienced billers and coders. This form of learning is often called distance education, and is a great way to learn new things at home according to your own schedule. Medical billing home study is especially useful if you are dealing with parenting needs or a demanding work schedule. Many of the online learning options are designed to teach you the three main sets used in medical coding and billing: CPT, HCPCS, and ICD-9 codes. They should also teach you the basics of medical billing, sending claims, how a medical office runs, and important administrative skills. Make sure your program of choice has everything you want and need to know. Look at your course listing in-depth to make sure nothing is left out. For instance, if you know that you need a refresher course on basic medical terminology, but your online program doesn't offer one, you may want to consider a different program. Drexel University is an online college, which offers a six-course, 18 college credit program, completely online. These classes are organized around the three main coding texts, and are designed to help individuals begin or enhance their knowledge of the medical coding and billing field. The University of Phoenix offers an Associates Degree course in Health Care Administration and Medical Records, which covers the basics of the medical health industry. This program is offered online, but may also be available as a face to face class, depending on your area. Due to the rapid growth of the medical billing industry and the high demand for qualified medical billers and coders, many online programs have popped up. There are many online, work from home, get rich quick scams aimed at the medical billing and coding market. To make sure you enroll in a credible program, choose one that is accredited. Ask around for more information, and take your time making a decision. It is probably your best bet going with an online college or university. These programs may be more expensive, but with their added support, and the expertise or real teachers who design the curriculum, it is well worth the investment. Another tip is to avoid multiple databases in your online search. These are often websites that compile lists of accredited medical billing programs, through big-name online schools, like Virginia College. When you click on one of the schools you want to check out, instead of redirecting you directly to the school's website, it directs you to an internal page, in which you have to enter your personal information. Not all of the sites may be out to get your information, but they will not offer as much information as going directly to the school's actual website. Making sure you are at the right website will ensure that you get all of the information that you need, including school contact and full program information. Whichever program you choose, check for a long history of effective educational leadership in the field of medical billing. Learning medical billing coding online in your spare time is an easy and effective method of learning a new and exciting field. No matter how you choose to study, get a head start by seeing what you'll learn in your medical billing classes. More on online medical billing home study options. To find a school, have a look at our list of online medical billing and coding schools.